Our mission is to help as many hockey players as we can in taking their game to the “next level” by providing hockey players with our hockey training expertise and our nutritional knowledge. 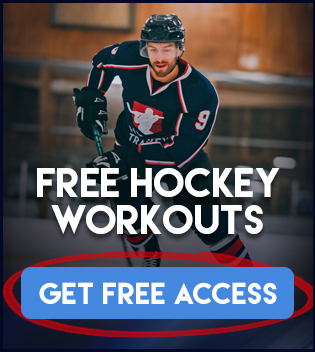 Training specifically for hockey is now required for anyone hoping to play at any high level of hockey, and we will help you take your game to the next level by telling you exactly how to workout safe and smart in order to improve your fitness levels and most important your on ice performance. We hope you bookmark our site and enjoy our regularly updated hockey training articles! For Product Support, please contact our customer support HERE. I have had a passion for the strength and conditioning science as well as nutritional programming for well over a decade now. 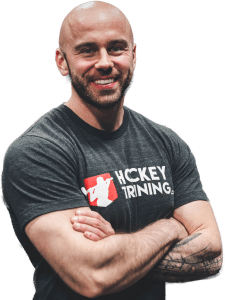 I am currently the head strength coach and nutrition specialist here at HockeyTraining.com, taking a great pride in the amount of detail and quality that goes into every piece of content, every workout, and every program that is released here. Professionally, I have 12 of the top certifications in both training and nutrition as well as a formal education in both functional medicine and health science. I specialize in hockey performance, having worked with hundreds of athletes from the youth leagues, right up to juniors, AHL, KHL, and NHL. I’m an international lecturer on the topics of strength, conditioning, and nutrition for optimal performance, and have been featured in many major media outlets for interviews on my approach and updates on my professional athletes. 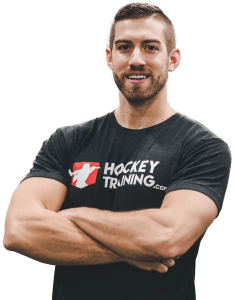 My mission here is to use the evidence we have on sports science, performance programming, and nutrition to modernize the training and fueling methods hockey athletes use so that the regular viewers here at HockeyTraining.com can take their games to the next level and be that dominant player out on the ice. I fell in love with the game of hockey when I tried on my first pair of skates at 3 years old on my backyard rink. I grew up playing minor hockey in Ontario, Canada and eventually played Junior hockey as a teenager. I have since “retired” from the competitive hockey leagues and enjoy trying to light up the men’s leagues a few times a week. My passion with sport specific training started early in highschool, as I was working hard to make myself a better athlete and hockey player. Nowadays, I still work hard in the gym personally but I really enjoy helping other hockey players improve their on-ice performance through off-ice training. This led me to start up HockeyTraining.com and team up with Coach Garner, with our goal being to help as many hockey players as we can become better players.